Hitchin is a great place if you’re a fan of vintage – there’s a raft of shops from the bottom to the top; charity shops galore, mid-range vintage like Jolly Brown, all the way up to Graceland which, with Grace Woodward at the helm, specialises in designer vintage (I’m no longer able to visit due to pretty much falling in love with EVERYTHING). Somewhere in the middle you’ve got a slightly odd but nonetheless endearing Lifestyle which you may remember I wrote about briefly before. 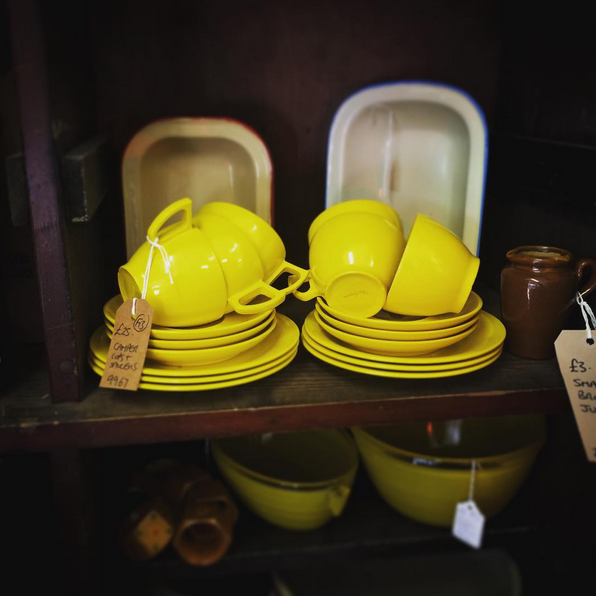 It’s a bit of an emporium with a range of sellers; the stock differs wildly, from brand new kids toys, to retro home decor, and some antique stuff thrown in for good measure. If nothing else it’s an entertaining way to spend an hour or so. Look! 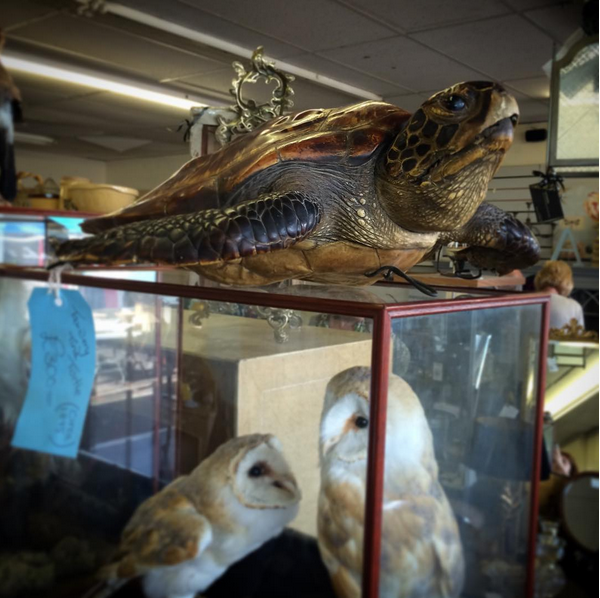 A taxidermy turtle! Shut up and take my money! Oh it’s £300. Well. A girl can dream. Now, I have no idea how old this is, but (bare with me here) it’s a cast iron beetle. Tell me, honestly, who doesn’t want one of those? In retrospect I should have just bought this guy – I need him in my life. 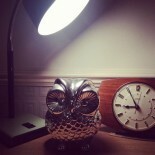 He was £5.50 and a total bargain if you ask me. Last but by no means least. 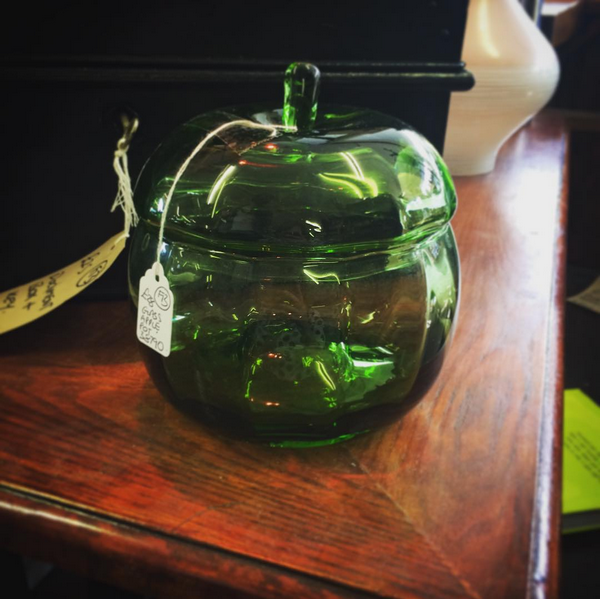 This is an amazing – and large – retro glass apple container. Again I’m not sure how old it is and it didn’t have a mark at all. I wish I’d got another picture so you could see the scale but if you think that it’s about the size of a medium mixing bowl then that should tell you how awesome it is. I’m still pining over it and am not sure how I managed to leave it behind 😦 It’s highly likely that I’ll be planning to return on Friday and get it – unless you get in there first that is. £28 is the (bargainous) price… gimmie gimmie! 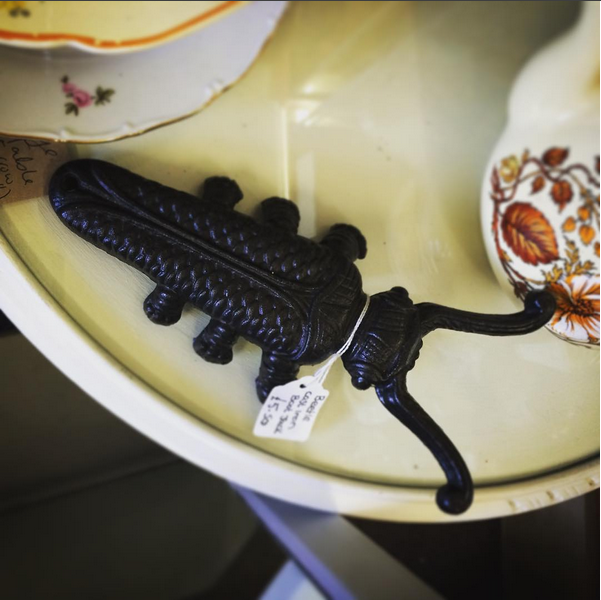 This entry was posted on September 13, 2015 by antiqueowl in Owling about town and tagged antique, apple, crocodile, glass, Graceland, Hitchin, Jolly Brown, Lifestyle, melaware, Owl, plastic, retro, taxidermy, Turtle, vintage, weasel, yellow.